Looking for Phonak hearing aids? Think of Tustin Hearing Center! Our Audiology practice has been proudly serving patients in Orange County for over 30 years. Founded by Audiologist Dr. Janell Reid in 1989, we have since helped thousands of people hear better with Phonak as well as other hearing aid manufacturers. Our Audiologists only work with the top hearing aid manufacturers and most advanced and effective hearing aids out there! These top manufacturers include Phonak! What’s New? 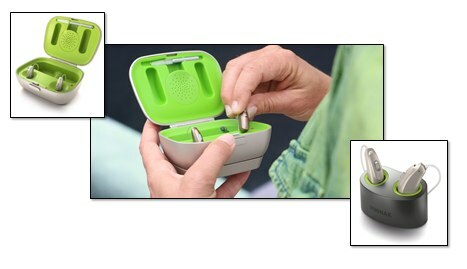 Phonak rechargeable technology! Phonak has also just launched their Phonak Audéo B-Direct hearing device. 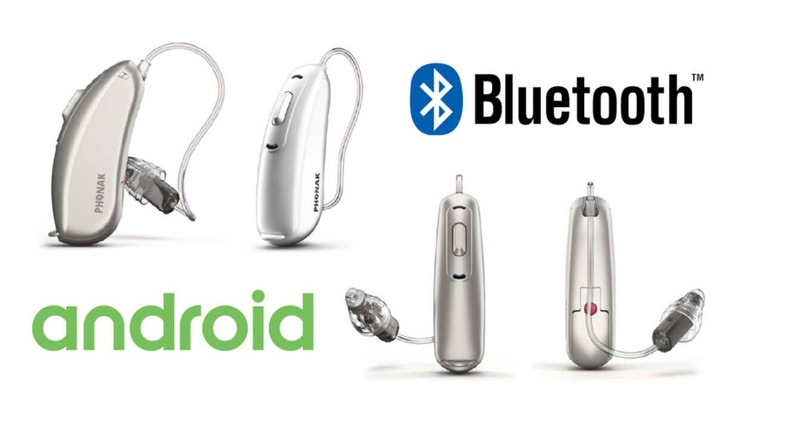 The Audéo B-Direct is the first Made for Android hearing device and can connect to any phone with Bluetooth. This device functions just like a Bluetooth wireless headset by utilizing its built-in microphones to pick up your voice for phone calls. Now you can hear the phone ringing directly in your hearing aids. You also have the option to answer or reject calls with the simple push of a button on your Audéo B-Direct. Even if you’re on the other side of the room, you don’t have to reach for your phone – that’s what you call truly hands-free. The Phonak Remote app turns your smartphone into an advanced remote control for your Phonak hearing aids. Used in combination with Bluetooth, it optimizes your Phonak hearing aid by providing more control and flexibility. Once installed, the easy-to-follow pairing wizard will help connect the app to the hearing aids. Check out the demonstration mode to experience more about the possibilities. With the direct connectivity capabilities of Audéo B-Direct you can also adjust your hearing aids from any smartphone* with the new Phonak Remote app. Phonak Audéo B-Direct is built on a unique operating system called AutoSense OS™. It senses your surroundings and adjusts your hearing aids every step of the way making this device very automatic and a good choice for many types of patients. Phonak rechargeable hearing aids are the first to feature a specifically designed built-in lithium-ion rechargeable battery that provides 24 hours of hearing with one simple charge. With 40% more power than conventional rechargeable batteries, lithium-ion is reliable and capable of supporting the superior technology and performance of Phonak rechargeable hearing aids. Now you can enjoy the freedom and confidence of knowing that your Phonak rechargeable hearing aids are conveniently charged and ready to take you through long days... and nights, if necessary. Phonak rechargeable hearing aids are the quickest charging, longest lasting rechargeable hearing aids on the market. In fact, they give you 24 hours of hearing with a simple 3-hour charge. If you’re in a rush, you can rely on a short 30-minute charge to give you up to 6 hours of full performance. Plus, they come with easy-to-use smart charging options, to charge up wherever you are, without having to worry about running out of power. Find out if Phonak is right for you! If you are interested in knowing more about Phonak Hearing Aids, call Tustin Hearing Center for your personalized appointment. We work closely with you to have a clear understanding and explanation of your personal hearing situation so we can provide hearing aid recommendations to meet your individual needs, with the complete follow up care that you deserve!